TRULY has partnered with Minton's to offer a unique experience for the jazz lover. Played by names like Charlie Parker, Dizzy Gillespie and Thelonius Monk, Minton's Playhouse was the home of bebop in the 1940s. Occupying the site of the historic Minton's Playhouse, the owner Richard Parsons along with Executive Chef Alexander Smalls have reimagined the prolific jazz bar as a fine dining establishment. Alexander Smalls and his Chef de Cuisine Banks White have created a southern inspired menu to fashion an exemplary jazz dining experience. Meet the band and indulge in a jazz dinner at Minton's. You'll take home a signed CD and receive a serenade from the lead vocalist. Enjoy a two hour rehearsal with the in-house band and join them on stage for a song during your evening at the venue. Experience a private piano or vocal jazz lesson at Minton's followed by a southern inspired dinner whilst you listen to live music. 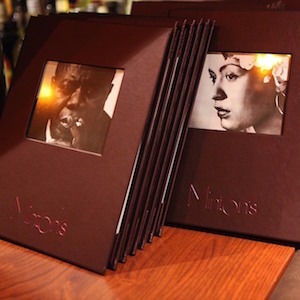 Decorated with vintage jazz photos with a stage manned by live musicians, many of whom played the venue 50 years ago, Minton's offers a luxuriously reimagined jazz experience.